Which Weight Loss Teas Actually Work? So you’ve heard about weight loss teas, but can they really help you lose weight? and which teas should you drink and how often? The supermarket shelves are lined with hundreds of different varieties of teas each claiming to promote different health benefits. The good news is you don’t need to buy anything fancy or ridiculously priced to enjoy the amazing benefits of tea. This post will show you the 8 most effective weight loss teas to help boost your metabolism and melt the fat away! Green Tea is a real Metabolism Booster. It contains catechins that help you burn calories faster because it enhances lipolysis (the release of fat from fat cells) and increases the liver’s capacity of turning fat into energy, – hence a real fat-burner and metabolism booster, – great even when you don’t always follow your diet! Green Tea has also shown to considerably lower triglyceride concentrations, a potentially dangerous fat in the blood and reduces Belly fat. A 12-week study revealed that people who combined drinking 4 to 5 cups of Green Tea daily in combination with a 25-minute workout lost 2 lbs more on average than those who didn’t Green Tea. For those who love to work out, 3 cups of Green Tea per day also help to reduce cell damage caused by resistance to exercise, i.e. it helps to recover faster after an intense workout. Green Tea contains CCK, a hormone that suppresses that ‘hunger feeling’, so to prevent over-eating or to stop that hunger feeling, drink a cup of Green Tea before a meal. 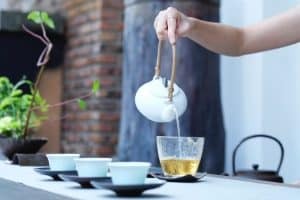 A Swedish Study has proven that people who drink a cup of Green Tea before a meal had less desire to eat their favorite food than those who drank a cup of water before their meal. White Tea has been proven to not only boost the breakdown of fat (lipolysis), it also blocks the formation of fat cells (adipogenesis) according to a study in the journal Nutrition and Metabolism. The properties of Oolong Tea (Chinese for Black Dragon Tea) are similar to those in Green, i.e. it promotes weight loss by boosting the body’s metabolism, so if you prefer a light, floral tea to Green Tea, try Oolong Tea. 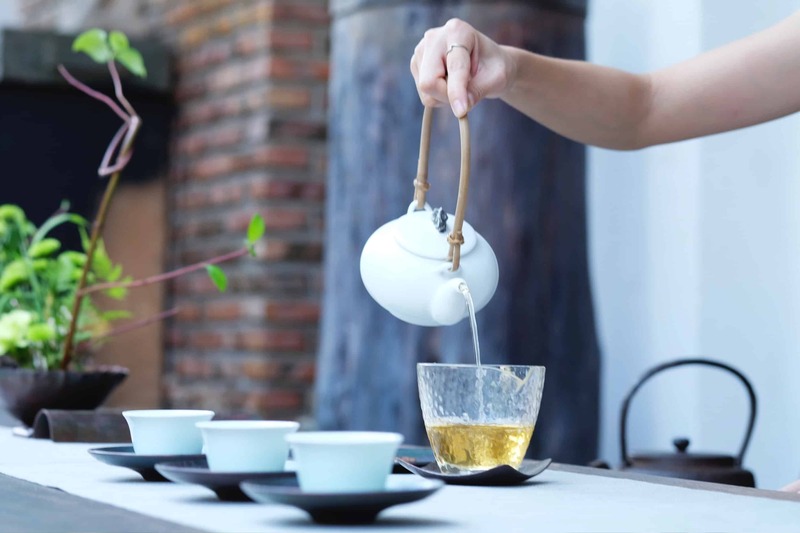 The Chinese Journal of Integrative Medicine discovered that those who regularly drink Oolong Tea lost 6 pounds over a 6-week period, a weight loss of a pound per week! Rooibos Tea, also known as Red Tea regulates the hormones that store lipids. It contains Aspalathin, a unique and powerful flavonoid (secondary metabolites found in plants and fungus). According to Research, Flavonoid is good for your gut because it reduces stress hormones that trigger hunger and the storage of fat and is liked to cardiovascular disease, hypertension, metabolic syndrome, Insulin resistance, and Type-2 Diabetes. Lemon Tea is great if you suffer from bloating. It contains D-limonene, which is an antioxidant found in citrus rind oil. Lemon Oil has a diuretic effect and has been used in Aromatherapy for hundreds of years. A recent animal study shown in the European Journal of Pharmacology has proven that D-Limonene has a therapeutic effect on metabolic disorders in mice with high-fat-diet-induced obesity. Matcha Tea contains approx. 2 or 3 times more fat-burning antioxidants (EGCGs) than most Green Teas. 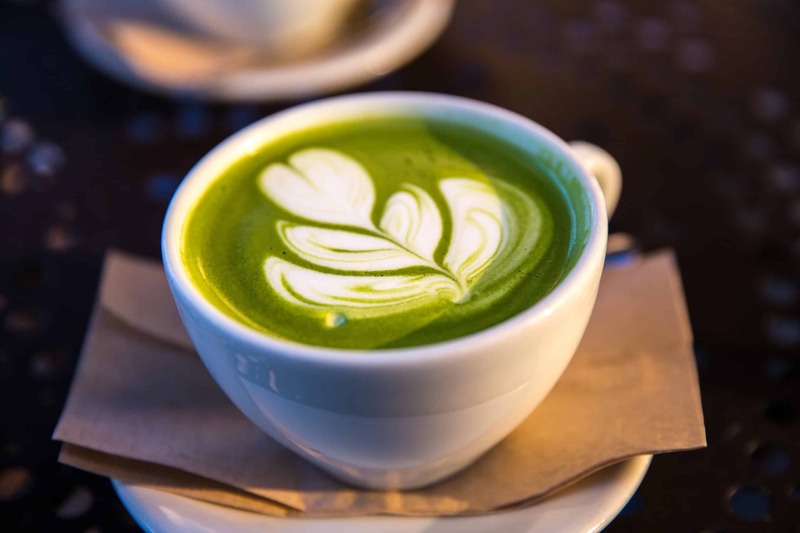 A recent study revealed that Green Teas contain between 25 to 86 milligrams of EGCG per serving whilst Matcha Tea contains between 17 milligrams to 109 milligrams. So, whether you prefer Green Tea or Matcha Tea, you can’t really go wrong with either, it’s pretty much a matter of taste. For the best possible absorption of EGCG and therefore maximum results, a study recommends drinking a cup of tea 30 minutes before breakfast. When you buy loose Matcha Tea, check the color. 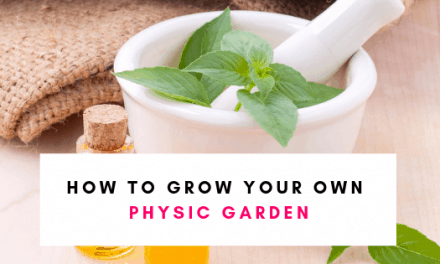 A vibrant color indicates that the plant had sufficient shade whilst growing, which means that it contains lots of chlorophyll and antioxidants that help in losing weight, but also wards off DNA damage and potentially cancer. According to research conducted by the American Journal of Clinical Nutrition, people who drank a single 4 gram serving of Matcha Tea lost double the amount of weight and 4-times more belly fat during a 3 months study period compared to those who drank a placebo. Chamomile tea is anti-inflammatory and therefore well known for its calming and soothing properties. It helps to induce sleep and reduces the level of stress hormones and when the body is resting it reduces the ability to store fat. This tea also helps protect against diarrhea, stomach ulcers, nausea, and gas. 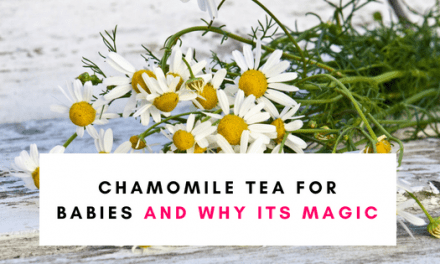 Chamomile is one of the best teas for weight loss and bloating thanks to its ability to relax the gastrointestinal tract, thus allowing gases to release. Chamomile tea contains apigenin, an antioxidant which can help reduce inflammation and also reduce the risk for certain types of cancer. 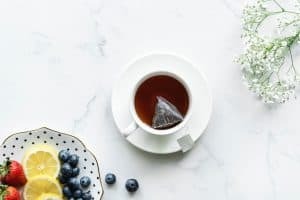 Black Tea contains various types of antioxidants, such as polyphenols, catechins, theaflavins and thearubigins that are known to provide several health benefits and may assist in decreasing the risk of chronic disease. According to one animal study, theaflavins in black tea reduces cholesterol and blood sugar levels. 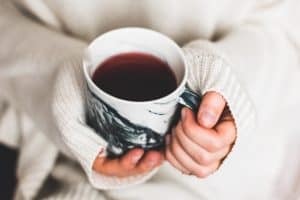 Those who drink black tea on a regular basis can potentially reduce risk factors for heart disease, including high blood pressure, high cholesterol, elevated triglyceride levels, and obesity because of the flavonoids that are found in black tea. According to research, consuming black tea on a daily basis can also reduce LDL Cholesterol (the ‘bad’ cholesterol) One study found that drinking 5 cups of tea daily lowered LDL cholesterol of participants with slight to mildly elevated cholesterol levels by 11%. Black Tea is also good for your immune system because it contains polyphenols and antimicrobial properties that may help to improve gut health and immunity and can also improve the use of insulin and reduce blood sugar. 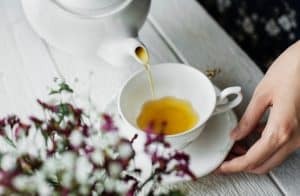 If you want to improve your focus, swap coffee for black tea as the amino acid in black tea called L-theanine increases alpha activity in the brain and therefore helps to improve focus and alertness. Chai tea is a spicy tea that originates in India and is originally made from fresh ingredients. It contains cinnamon and black tea, and both these ingredients may help to reduce blood pressure and cholesterol levels. The cinnamon and ginger in chai tea can potentially help to increase insulin sensitivity and lower blood sugar levels. 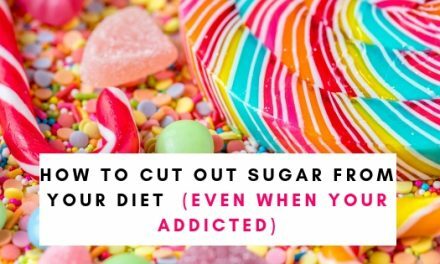 However, avoid sweetened varieties that you can buy in the store. Chai Tea also contains ginger, black pepper, cinnamon, and cloves, which can help reduce nausea, prevent bacterial infections and benefit better digestion as well as promote weight loss or prevent unwanted weight gain. As with all teas, avoid sweetened varieties and full-fat milk. Always store tea in a dark, dry place not just to increase shelf life but also because the active ingredients in teas are highly unstable under sunlight. Also try to buy organic, preferably loose tea as some paper tea bags contain bleach. 1. Don’t throw away rests of tea, use it to make Iced Tea, refrigerated it will stay good for about 4 days. 2. You can use Green Tea or Matcha to make a healthy and richly flavored salad dressing, just steep the tea bags into the oil or vinegar and it will help to keep your hunger feelings at bay. 3. Use leftovers of Green or White Tea to make a healthy smoothie. Replacing one or 2 meals a day for a smoothie will help you lose weight and also curb any cravings. 4. Add Chia seeds to your smoothie or tea. Chia Seeds are packed with fiber, protein and especially those all-important omega-3 fatty acids that accelerate the tea’s fat-burning powers. 5. Replace the water for cooking quinoa, rice or even oatmeal with Green Tea. Not only will it add to enrich the flavor, it will also enhance the belly-fat burning properties of Green Tea. Boil the water as usual but add approx. 4 Tea Bags and before adding the rice, quinoa or oatmeal, remove the tea bags. 6. When you drink tea with a salad or soup, add some black pepper to your meal. Research has shown that piperine, a compound found in black pepper, can potentially improve blood levels of EGCG. The piperine allows the tea to linger in the digestive system for a longer period of time, which means that the body absorbs more of the fat burning properties. 7. Make some Japanese Ochazuke. Ochazuke is made by pouring a cup of hot green tea over a bowl of leftover rice, then topping the bowl with savory ingredients to create a tasty slimming lunch. Simply place the rice or quinoa in a bowl, pour the hot tea over it and top with flaked salmon, dried seaweed, or vegetables. Add lime juice and soy sauce and you have a tasty light-weight meal.